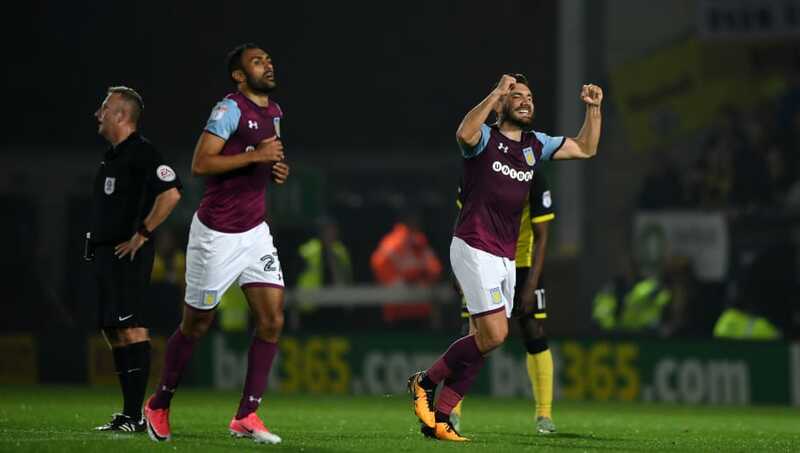 ​Aston Villa manager Steve Bruce has hailed the impact of summer signing Robert Snodgrass after he scored in Tuesday night's 4-0 win over Burton Albion, as reported in their ​of​ficial website. The win was the Villans third in a row in the Championship, and saw them climb to eighth in the table with ten games played. And Bruce singled out the performance of Snodgrass, who has impressed since arriving on loan from West Ham. "He's only been here a month and it feels like he's been here for years," ​he said. "He's got that character and personality where he's endearing to people around him." Snodgrass was joined on the scoresheet by Keinan Davis, Albert Adomah and Josh Onomah, as Villa secured an emphatic victory at the Pirelli Stadium. But Bruce was quick to stress that fans and players cannot get carried away with the recent upturn in form. "We must keep our feet on the ground, its vitally important that we do that," said Bruce, quoted by ​the Birmingham Mail. "It's never going to be easy. "I've only been at the club for not quite a year and there's something in the DNA that we don't do things very, very easily, so I'm not taking anything for granted. Lets not get too carried away yet. "I was very pleased with what I've seen. It's arguably the best performance since I've been here. To win 4-0 away from home in the Championship is never easy. Which one of these wantaway stars will secure a move away this January? "There's no dispute that results like tonight can only breed a bit of confidence to turn round the woes that the club has had. Hopefully it's the start of things to come."